About "Square root by long division method"
Square root by long division method is sometimes a difficult job for some students. 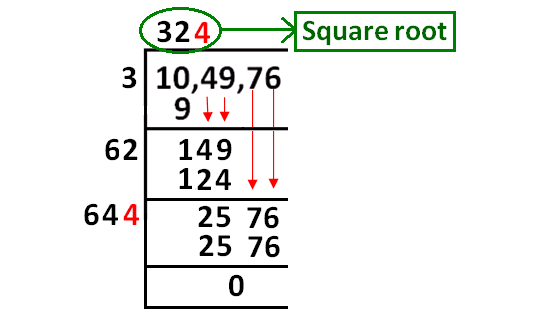 Here we give you step by step explanation to understand square root by long division method easily. 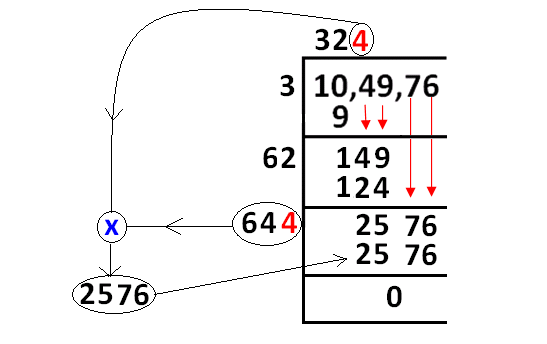 To understand this method, let us try to find the square root of 104976 step by step using long division method. Separate the digits by taking commas from right to left once in two digits. When we do so, we get 10 before the first comma. 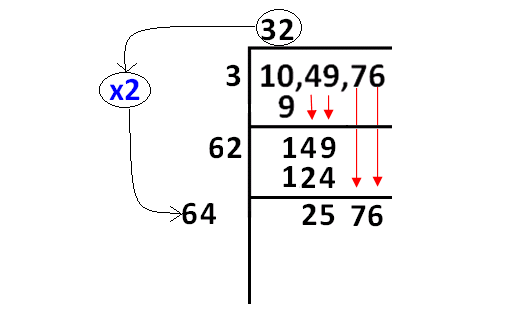 The above condition will be met by “3”. 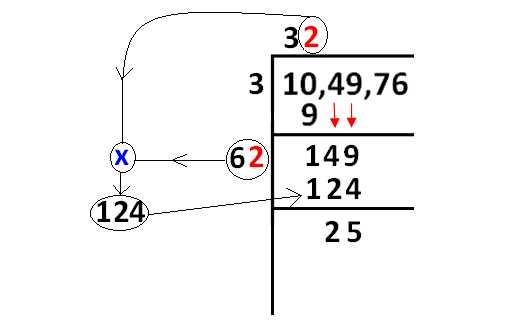 In the above picture, 9 is subtracted from 10 and we got the remainder 1. Now, we have to bring down 49 and quotient 3 to be multiplied by 2 as given in the picture below. Now we have to take a same number at the two places indicated by "?". Then, we have to find the product as shown in the picture and also the product must meet the condition as indicated. 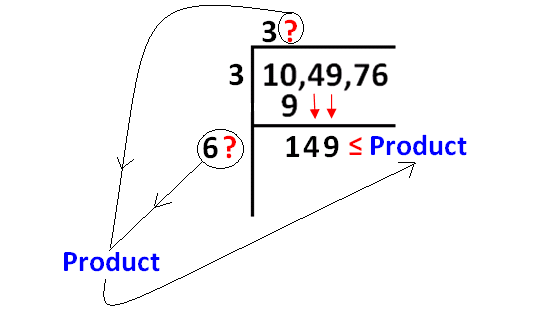 The condition said in step 4 will be met by replacing "?" with "2". Than we have to do the calculation as given in the picture. Now, we have to bring down 76 and quotient 32 to be multiplied by 2 as given in the picture below. In the above picture, we have applied the procedures explained in step 4 and step 5. And we got the remainder zero. From the above picture, finally we got the square root of 104976. That is 324. Find the square root of the following numbers using long division method. Apart from the stuff and example problem, if you want to know more about "square root by long division method", please click here.